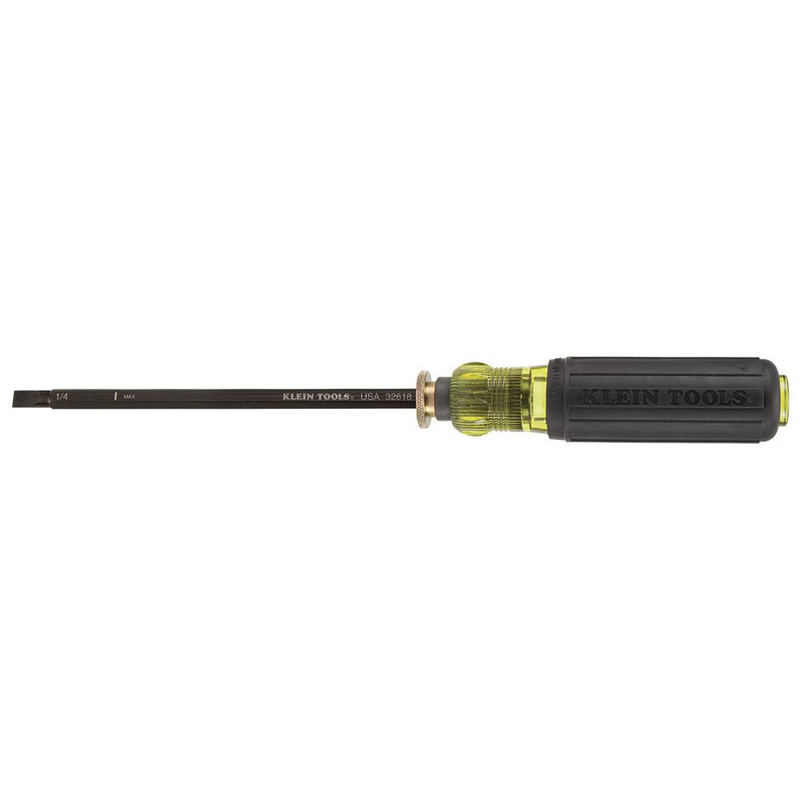 Klein Tools Adjustable length screwdriver has shank of size 4 - 8-Inch. Screwdriver features black, rubber cushion grip handle that minimizes muscle fatigue effectively. Push up mechanism aids to retract or shorten the shaft while press down mechanism aids to extend or lengthen the shaft. It has Phillips and slotted tip of size 2 or 1/4-Inch.